Opinion | They shoot monks, don’t they? They shoot monks, don’t they? It took a while but the government that shot monks in Vietnam was eventually toppled. We hope the same happens in Myanmar. Kuala Lumpur, Malaysia -- IT’S the wrath of the people – that best describes the uprising of the people of Myanmar who have had enough of the dictatorship in their country, who has turned the mineral-rich country into an exporter of cheap labour. The military generals have ruled the country for 42 years with an iron fist and it is unlikely that they will let go of their grip. They have retaliated with guns and bullets, the only language the junta knows. But now, the generals have been tested as never before. The unprecedented protest march by the monks, in a devoutly Buddhist nation, must have caught the junta by surprise. The protest began on Aug 19 after the government raised fuel prices. Initially, the protest involved only civilians but the impact changed dramatically when the monks took to the streets. For the first time, the world has been able to follow the peaceful protest by thousands of these monks through central Yangon and around the Shwedagon pagoda through modern technology. Despite the media blackout in Myanmar, the people have been able to exchange information on the protest through the Internet and mobile phones. Censorship, governments all over the world need to learn, is no longer possible and, certainly, laws that suppress the media are fast becoming obsolete because of the advent of technology. The thousands of protesters in Yangon turned citizen journalists by video recording the events taking place and sending via the Internet to media and non-governmental organisations in Bangkok and even to Europe. The repressive regime may be able to impose a ban on journalists entering the borders but even the Malaysian media has been able to keep the lines open with their contacts in Myanmar. There have been restrictions on the use of mobile telephones and the Internet but certainly the junta has not been entirely successful in intercepting or blocking news. So far, there has no been official leadership that claims to lead the Saffron Uprising, which must have further pressured the junta. Having learnt from the brutal suppression of the pro-democracy movement in 1988 where thousands were killed, the leaders must have been better prepared this time. At a time when the world demands transparency and integrity, the junta has not been able or has refused to respond to such calls. The regime continues to believe that it is immune to power challenges. it has snubbed its close allies in Asean, who had tried but failed to persuade them through constructive engagement. Again, this pariah government has ignored pleas from the world to stop the protest. But this time, the junta may have gone too far. It has crushed the student rebellion, defied the 1990 poll results and jailed Aung San Suu Kyi. But it is surely a fatal political move for the army to shoot monks, the most organised institution in Myanmar. 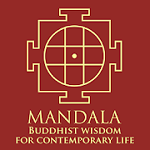 The drastic, if not desperate, move to end the street protest in a violent manner has shocked the world, particularly Buddhists worldwide. The monks have the support of people, regardless of their race and religion, who believe the people of Myanmar deserve a better quality of life – which they have been robbed of by the junta. The world needs to send a powerful message to the despots of Myanmar – the civilised world does not tolerate its reign of terror and suppression of the people, who can no longer live with the continuing brutality. Why should the people of Myanmar be denied the prosperity and progress enjoyed by their neighbours like Malaysia, Singapore and Thailand? After all, Burma was once a strong nation. 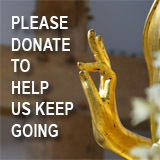 More than ever, Myanmar needs the world to help them. It is time for China, Russia and India, which have great influence on Myanmar, to tell the generals that their days are over. 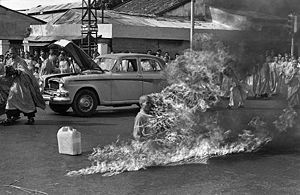 Those of us who are old enough might remember the image of a Buddhist monk who set himself on fire in the early 60s. Sitting impassively in the central market square of then Saigon, now Ho Chin Minh city, the monk had protested against the corrupt Vietnamese regime then. The South Vietnamese government troops had opened fire to disperse students and monks, who were banned from carrying Buddhist flags on Wesak Day. The Buddhist leadership quickly organised a protest that led to seven monks burning themselves to death. That image of these monks has remained ingrained in my mind. As I watched the television coverage of the protesting monks in Myanmar, holding the same Buddhist flags, and being shot, there is a feeling of deja vu all over again. Some things never change. Instead, they repeat themselves. It took a while but the government that shot monks in Vietnam was eventually toppled. We hope the same happens in Myanmar.